As we commemorate our Independence Day in 2016, I like to make a humble appeal to all the religious leaders of the island to help the political leaders and the people to make their best decisions for the good of all in the island. We are at a decisive phase in our history to move courageously away from the evils of the past and make a reasonable and common sense change for the better. During the last decades we all have gone through bitter experiences of life and death, of conflicts and confrontations and come to a unique chance and decisive phase to save the island from falling further into suffering and sadness. During the last post-independence decades the governments, which came to power on the basis of party politics were unable to see beyond the profit of the majority and of the party, and were unable to resolve the ethnic conflict as well as its horrendous consequences for the people. Now for the first time in our post-independence history, the opposing parties have formed a coalition government with a united vision of democracy good governance and peaceful coexistence for all in the country. And the Tamil leaders are willing to give a critical collaboration to the government’s efforts. But the government leaders who showed some courage and even showed signs of becoming statesmen and awakened hope among the peoples, especially the victims of the long war, are now frightened or getting cold-feet before the swelling extremism among the majority Sinhala Buddhists and tend to go back on original promises both to the people and to the international community. Recent interviews of the President and the Prime Minister to international media are showing their fear and helplessness. It is at this hour of need, when party politics try to regain their importance and upset the present journey towards peace, I like humbly to appeal to all the religious leaders of all religions, based on their teachings about truth, justice, accountability, peace and reconciliation and using their presence and popularity among their believers, shed light on the present situation, dispel undue fears, and encourage people to think reasonably and act courageously for the good of all. The sacred duty of finding a peaceful-coexistence as modus vivendi of all citizens is the responsibility of all leaders, especially of the religions called to protect and promote life for all. In the past political leaders have sought the support of religious leaders for their political gain especially at election times but kept them away from any serious consultation regarding the well-being of all people. This left a space for people in religious garb to promote even extremist positions. A basic and urgent requirement in the formation of future leaders, especially religious leaders, is to instill into their hearts and minds, not only a deeper understanding of the teachings of their own religion, but also a positive understanding of all religions. Modus vivendi of a multiethnic and multireligious population must begin at school levels. Personally I was happy as Prefect of studies during my years at the National Seminary in Kandy to go to the Maha Vihare and invite a monk to teach Buddhism to our seminarians. All religions without exception are for the well-being of human life. And in our context of Sri Lanka, how can we expect only the political leaders to decide what is best for the people. Values like truth, justice, peace, reconciliation are primarily spiritual values enriched by the teachings of religions. These are codified in human laws and political systems nationally and internationally to help a peaceful coexistence. Hence religious leaders must be always vigilant and helpful to the political leaders in their administration of truth and justice. Finally as a catholic priest, I will humbly appeal to the leader of the present catholic church in Sri Lanka, Cardinal Malcolm Ranjith. He has to my knowledge always showed keen interest in resolving the ethnic conflict, and as a Sinhala Bishop from the South visited the North often and even sought contact with the LTTE, proclaimed a positive role for the church at the Pastoral Synod of the whole church in April 1995 at the BMICH, Colombo, helped the former Rajapaksa Govt. by lobbying international support for retaining the GSP+, made his submissions to the LLRC etc. He is best suited to initiate and activate the support of all religious leaders as well as the past and present political leaders to help the present government in its pursuit of peaceful coexistence. The National Anthem In Tamil, Or Not? Religious leaders please keep away! Further, the Tamil-Hindus have only priests who do only poojas as in their temples, wedding ceremonies and funeral rites. They are not religious leaders. The Tamil- Hindus have no religious leaders. The Muslims here also do not have a Grand Mufti as the Sunni Muslims have or Ayotullahs like the Shia Muslims have. Do not open the way to parade the head of the Nallur Atheenam as the Hindu religious leader. c.V, Wigeswaran also does not qualify, despite the religious adornments! Only the Buddhists and Chritians have a religious hierarchy. I doubt that they should have a right to represent their congregations in secular matters, although they have and created chaos. You are one such person, who has done much damage in the name of liberation theology. I am glad you think otherwise now, but please do not seed further chaos by involving religious elements into an arena that is not their’s. Let’s keep the temple, church and the mosque out of temporal affairs. Maithripala Sirisena’s short sighted and foolish statement should not be taken forward by you. Render unto Caessar what is Caessars! Yes, Active Contribution Of Religious Leaders Urgently Needed. So, is the separation of Church, Temple and State. The separates Myths and Morality based on reason and facts. Pool together from the different religions; opium, ganja, ice and what have you and live in a hallucinating world. Do you know the reason why Cardinal Malcom Ranjit was denied visa to enter UK to participate in the meeting in London on 4th february which is now cancelled due to his inability to attend. He had also told the organisers that he will never be able to come to UK in the future, which makes anyone think that he has committed a serious offence to undermine British values. You devalued your comments by your inevitable swipe at CM Wiggy. Having said that lets leave religion out of politics Including the Mahasangha. but let’s be guided by the religious principles. It is not a bias, but very objective observation. I do not like any politician, especially one holding public office,whether a retired judge or not, wearing his religion literally on his sleeve, in a province that is multi-religious and tolerant of all faiths. I am going to confront you head on as you are not heeding to my advises. CW needs good swiping as the CEO of the NPC he is not doing is job. Just imagine British Gas Chairman with his BG job description and contract working for the British Telecom. CW should have been sacked long time ago. His employment contract and the job description is the powers vested upon him under the 13th amendment. What the hell is he doing. Only thing he is doing is abusing his powers. Daring, please change your abrupt, rational and the idiotic behavior. We can do a lot together. Please read CV’s writing and speeches. He has repeatedly said he is bound by the manifesto placed by TNA on the election he participated. People have mandated him to seek “Internal Self Determination” in that election. Northern Tamils never surrendered their sovereignty to any Sinhala Constitution. 1976 Vaddukoddai convention declared the right of Tamils’ Self determination and explicitly withdraw from any constitution, whether it is Soulbury or 1972 Republic, which attempted to assume Tamils’ Sovereignty in their drafts. The election followed it attested and mandated it. So now, the elections, conducted by whomever, taking place in North are not under any of the Southern constitutions. Those constitution not binding over Tamils sovereignty are not valid in North. The elections held there are presumed to be under Vaddukoddai convention, until an election held to reverse it. CV’s mandate is managing the NPC and he is contracted by the people of Northern Province. Velikku Onnan Saatchi – a Tamil proverb meaning, the reptile becoming the witness for the fence. CV’s justification is equivalent to this. I am sorry people did not mandate him for “Internal Self Determination”. It is absolutely rubbish. There was no talk of that during NPC election. Rest of what you say is historical and only make you to sink in the past. Do not think about the past always. Please go forward with the sense of purpose. Make use of the little opportunities with the 13th amendment without squandering it. The people in the NP needs it and you or CVW cannot obstruct it for self egoistic and hate reasons. You must grow up to meet the current challenges without living in the past. Be sharp and practical. Precisely for this reason he demanded more autonomy. The provincial Councils nothing but a glorified Town Council. A Few years ago a study concluded many provincial councilors from 7 other provinces were unhappy about the powers vested in them. Could you get it from TNA that it was not their election manifesto? We know the you people appointed Nimal Siripala to remove 13A and India did not allow you. Now with very gracefulness telling Mallaiyuran to make use of it? Thank you for your kind advice! “Rest of what you say is historical” Why Mahawamsa animal history hurts you too? You are not the one to tell Tamils make use of what? Mind you business! Are you quoting Abrahan Lincolns comment to CVW? He should really try and understand it word to word. What CVW is proving is that the Tamils cannot even manage a meagre NPC. Ask him to go and do it and speak about its failures to enhance it further. 13th amendment is the baby of Tamil struggle for devolution and it must be corrected, improvised and made use of to benefit the people. Erumbu Oora Kat Kukuliyume — means: creeping ants can made a hole in the stone. Let us make the hole like the ants. Let us move slowly and steadily and out beat the fast running rabbit. The world politics is fast changing and people like you too must change to make the difference without holding on to values that will not show the light for us at the end of the tunnel. Come on man! Show some intelligence to write on CT. This thread is created by Father Emmanuel. Are you still in cognizant of it? It is for you. Lincoln words are for rulers; not for the ruled. CV is not in the government. Please! Have some mercy, for the grace of God! Don’t do this again. Eat some aappa and improve the IQ. Certainly! There is no last Tamil properly managed NPC. Varathar could not do with the protection of India, whom brought it and wanted to implement it. Where is CV’s muscles compared to that? “13th amendment is the baby of Tamil struggle for devolution and it must be corrected, improvised and made use of to benefit the people.” I thought you accepted that Tamil can not use even a meager 13A, then why do you want to improve it and make it more complicated?. You are saying you do not have the capacity to learn and drive even a meager car; then why are you saying that you are going to buy a Lamborghini to show off to chicks? Are you ok? “Erumbu Oora Kat Kukuliyume — means: creeping ants can made a hole in the stone.” That is true. But now the by the 70 years of hard work “Kaluthai theanchu Katterumpaaki viddathu”. If it keeps working more it not just going to end as even smaller than a virus, but it is going to be zero. Then who need the 13+? The world politics is fast changing and people like you too must change to make the difference without holding on to values that will not show the light for us at the end of the tunnel. Sinhala government thought the world going to stay where Kathirgamar had put it and presented him with the reward of death, the permanent rest, for his dedicated services. From the freedom day, the Appe Aandu committed to stay on the path Don Stephen created. You should talk with them and give this piece of invaluable advice to them. I agree with your Dr RN. Religion in every form has been but a curse on society. There has been more bloodshed due to religion in the world than the bloodshed combined from all the world wars. Best to keep religion totally out of politics. Religion divides people and if religion creeps into politics, politics will inevitably be divisive also. Yes religion is a curse in the third world manipulated by the thieving politicians. All religions and political leaders who pretend to be religious must not get involved in politics. One can see the distraction that can bring with religions getting involved in countries like Afghanistan, Iraq and Syria. Politians also must dress to be with the times and should not ask or enjoy privileges above the people who elected them. No one should be above the law of the land. Follow the examples of UK where millions want to settle. As for you Reverend, it is better for you to be satisfied with the church work instead of politics. He can be an ardent Hindu. I have no issue with it. However, as a person holdings a public office as the CM of a province with a mixed population of Hindus, Christians and Muslims, he has to be not only secular in thought and action, but also in appearence. As a Supreme Court judge, did he adorn himself with Hindu religious symbols? Would it have been acceptable? Should a people who have paid a horendous price because of heavy hand of majoritarianism at the national level, tolerate indications of majoritarianism displayed by someone who has been elected to be their Chief Minister? Are you happy if Wigneshwaren wears a trouser? And a white shirt and tie?? Then his appearance become secular to you, not a Christian man?? Mahatma Gandhi attire must be disgusting to you too..
Mahatma Gandhi dressed like a poor peasant, once he got into politics. He did not wear or adorn himself with anything that connected him to a religion. I have no problem with CVW wearing the verti,shirt and salvai.. However, I object to the santhana pottu , kunkumam and the thiruneeru. I also object to the ‘ Om Bramam– ‘ verse he chants at the beginning of his speeches. He of course conducted prayer meetings in the evening which were largely Hindu in character, but sang ‘—Easwara Allah Therey Naam’. Gandhi was a clever man who manipulated the people with his outdated and primitive lifestyles, that included is silly attire. He sadly set the cruel trend my all third world politicians that are living a double life at the expense of the tax paying public. Reason for the plight and sorry state of the third world. He had done me any favour. Don’t take serious the double faced EPDP rowdies. He can not understand what he studied in the 5th grade Thirukural. He is trying to hang on the tails of the Sinhala Intellectuals. Whether this self proclaimed allrounder Naren accepts or not, as per Article 9 of the constitution, Lanka is a religious country to preserve Buddhism. Can he write Two lines on that against his masters, the Ayatollah of Lankawe? If he has body part on his torso called guts, can he write to his masters to repeal this section? There was never any extremism practiced by CV. This fool can not understand what is secularism means. He trying to flex a Thirukural that was intended to that time Hind Sanyasis and Buddhist monks. Those who offered PhD for him has to be whipped with Thirukkaivaal, in his Lankawe’s head of the state’s punishment rules. These people such an primitive clowns. “Religious leaders please keep away! Further, the Tamil-Hindus have only priests who do only poojas as in their temples, wedding ceremonies and funeral rites. They are not religious leaders.” Does this fool trying to pretend that he knows what is Hinduism is ? When did he see priest in the the funeral? Clown! Earlier when commentator “Native Vedda” ask him if his categorization of “Thai Paongal” as Hindu festival, he backed off from it. Does he know meaning of the word leader? Anybody who can have followers is a leader in the dictionary meaning. That is why dougee who manages henches is leader in the North. There is and was always leaders in Hinduism. There is no administrative authority or rules that needs to implemented by them in Hinduism. He apparently a transplanted person, trying to pretend like a Hindu Tamil, to carry out write negatives about the Hindus for the government’s cooies. CV is an elected person to manage to matters of the community, including religious matters. even is secular society. It is he who is the one should keep out of meddling with the Hinduism with his puny knowledge. Father had mentioned about “Hindu” only once. “We have the teachings of the ….., the Hindu Sages,……”. Is this where EPDP Naren finding space to jumping on CV? Does he understand what Father is saying here/ Then does he accept it or deny it? Can he say “yes” or “No”? This clown is far away from understanding the call of father Emmanuel. So like dog always limb a leg whereever you beat it, our dougee’s doggee too raising his leg of CV. His foolishness is always ending anything of his hatred-ness with CV. There his usual logic is knotting the knee to his bald head. That is why his logic does not ever hold. Brahmins are the priests in Hindu temples and pujas at home, whatever the form it takes. CV is person elected with an unprecedented majority by Northern people. He did not play comedy like who received four votes went to claim a minister post in Old Royal government. How he is connecting CV into priesthood and where did he received authority to jank an elected leader out of community’s religious matters? You are both absolutely right – this response by Rajasingham is indeed in line with his now-established penchant to leverage a legitimate issue to further his selfish goals. The separation of state and religion is of course a progressive aspiration, never mind how the archaic thought processes would like to assert the dominance of a single religion though constitution. However, as you both note, Rajasingham sneakily, yet artfully uses that to undermine CW against whom he has consistently battled, God knows why. Rajasingham now feigns resentment at CW’s religious adornment. Perhaps you would recall when the same Rajasingham expressed his awe at the religious adornment worn by Rajapakse when this so-called delegate was mesmerized by that adornment as he prostrated before the then-king! 3. Used the issue of “displaced war victims behind the barbed wire” to promote Diaspora funding for MR regime, after MR provided Rajasingham executive passage and luxury accommodation as a “delegate”- an admission that Rajasingham made only just a few weeks ago, after almost two years of avoiding to answer that. If that “delegate” characterization is not a mere facade, I am sure Rajasingham would not be so shy to detail of the intent and purposes of the delegation. I like it. You made my day. We are lion kings and we must maintain our high standards,pride and quality writings. No one can beat us. We have answers for everything. You have proved it. Let me go and dream about you over what you have achieved. Continue to target. Don’t miss the target. Hit them hard so that they will not raise their heads anymore. I really owe something to you and let it be a surprise. Even Late Inspector Bastiampillai will be praising us from his graves. No wonder Batalanda Ranil doesn’t like our Sinhala Bishop Ranjith. Batalanda isn’t going away as easily as some would like. Come on Father! It is too sad you have reached Cardinal Malcolm, at last. You know cardinal’s relatives in the Old Royal Family used him in every angle. He even tried to influence pope to work for Old King’s election. Pope’s team refused that the election has to be one month ahead or after his visit. Father, why is that these days not nothing is going well with you. I am not sure why so hurry is. Government has made Sampanthan to get them Tamils votes without giving him any promise. It is not without promise, those who were in CC team, like Ranil, Mangala, New King, Fonseka, Chandrika – everybody said that there will not be any inquiry on any leader, any commander or on a private soldier. Government never went back on that promise. They said there will be nothing more than 13A and no police, no land, and no North-East merger, those are in the 13A. Government leaders have not given BBC any interview against this promise either. I do not know when you saw the courage and statesmanship on the government side. Is that when Batalanda (Sumane’s classical Sinhala terminology) Ranil went to meet UNSG and asked him to discard the Darusman (Lankawe Sinhala Intellectuals’ Terminology) Report? Please wait for 2017, UNHRC sitting. That time Appe Andu will teach to UNHRC that “Foreign and Commonwealth” means Defense lawyer Desmond de Silva only. Then you start your pleading to Cardinal Malcolm. Because that time Tamils will have nothing so it doesn’t matter if they start to beg utter hopeless people like Cardinal Malcolm. After sacrificing the TNA and having had it split, Sampanthar has got a promise to sing (only a promise) National Sinhala song translated into Tamil too. Even Saheli Gamage’s Ayubowewa Maharajane is in all three languages (without Sampanthar’s interferences). With all his promises in the last two elections and after splitting the TNA, he has achieved something. A promise – On the Freedom Day National Anthem in Tamil too. Your achievement is giving up on your endeavors and obtained a permission to go to Lankawe. In this rate, you and Sampanthar are not going to get anything near to freedom to Tamils even if all of them have their head sacrificed to have their hope on you two. Those, like Fr. Emmanuel, who have tried to use religion as a justification for political activities have usually ended up making the problems of people they claim to be leading worse rather than better. Fr Emmanuel here is preaching to others about “truth, justice, accountability and peace”. When the rest of us hear someone telling others about what is right and wrong we expect that person to practice for themselves what they are preaching to others. 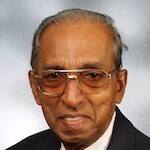 One day Fr Emmanuel might consider being truthful, just and accountable about his own past by publicly admitting that his earlier sympathies and support for the Tamil Tigers and their murderous activities was a gross error of judgement and that he owes the people of Sri Lanka a deep and profound apology. Until he does that he will continue to be regarded by many as just another of the world’s clerical hypocrites. There is nothing to worry about our great savier Fr Emmanuel. Now he is an ardent supporter of the present government and good pal of Mangala Samaraweera, Ranil, Chandrika and Sirisena. With his earlier experience, he is managing to hide his support to the present government. How long can he do this? Dr. Rajasingham reveals his ignorance by objecting to Chief minister Wigneswaran’s appearance. This was his appearance always. He is a man of faith. Will Rajasinhgam object to a Western leader wearing a cross as a pendant or a bracelet. Is it wrong for a politician to reveal his faith? What matters is the tolerance or intolerance to other religions. Wigneswaran never indulges in intolerance. Wiggy was once a learned judge, now a silly politician play to the gallery with his silly attire.